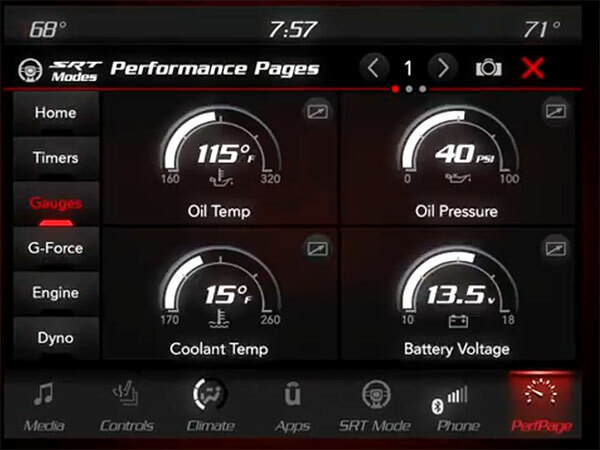 Like the current Dodge Hellcat, the highly anticipated Dodge Demon will come equipped with an interactive "Performance Page." 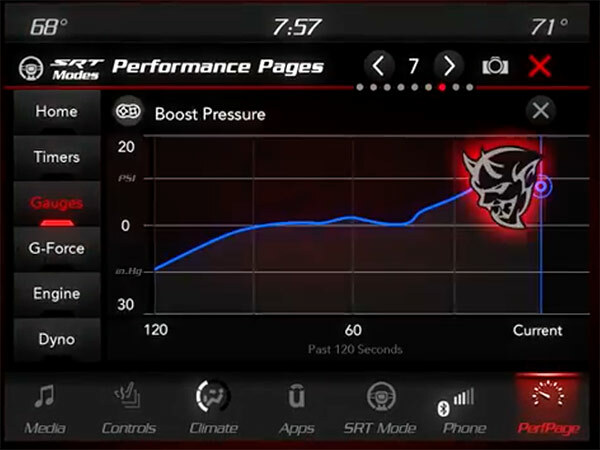 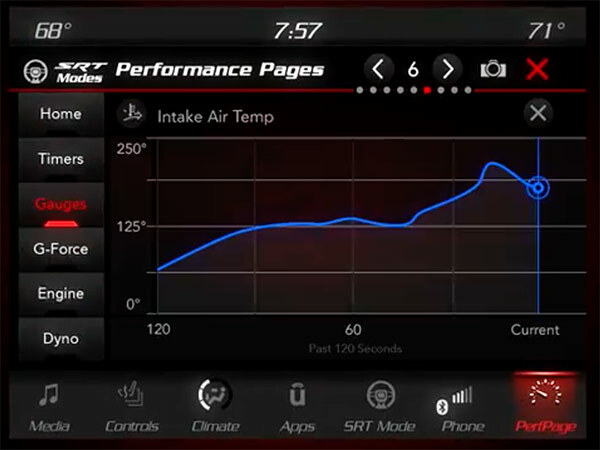 According to Dodge, an extremely informative performance page will be integrated into the 8.4” Uconnect system in the center dash of the Demon. 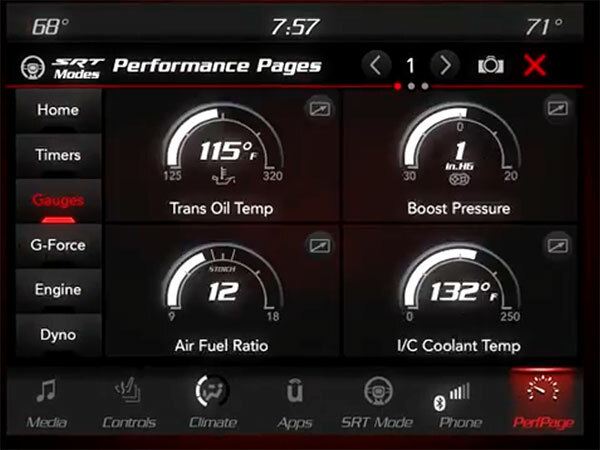 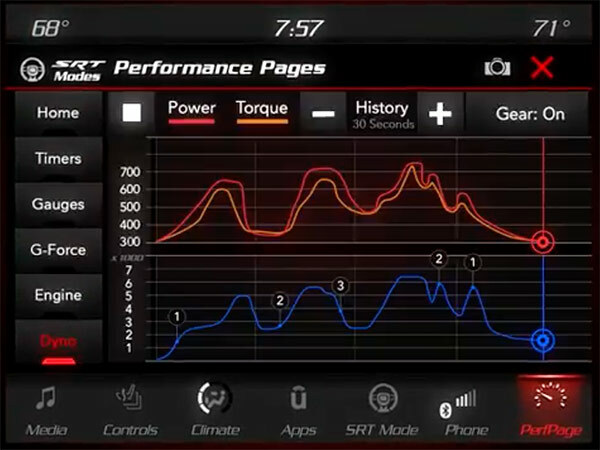 The YouTube video posted this morning shows that the Performance Page will have six different tabs—Home, Timers, Gauges, G-Force, Engine and Dyno. 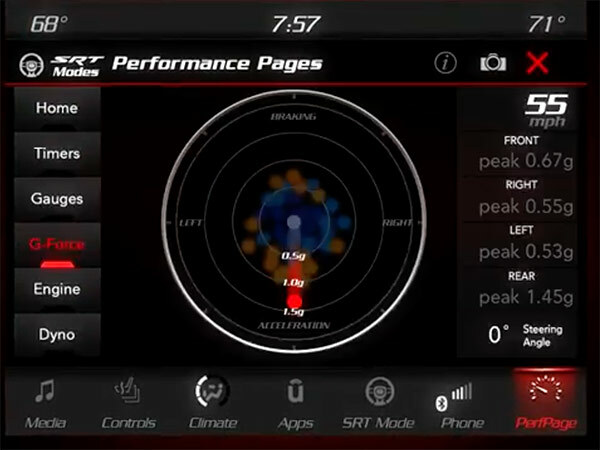 Each page has several different data points on it (as you can see below) and owners are able to customize the Performance Page to a preferred data cluster. 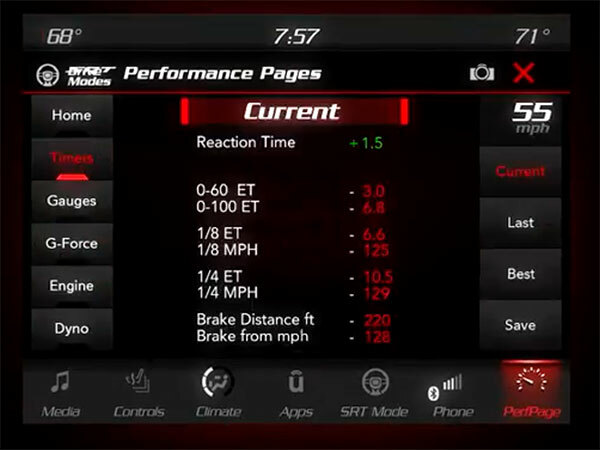 Perhaps one of the more interesting developments is how "power levels can be data recorded to track performance gains from changes such as use of the Direct Connection Performance Parts." 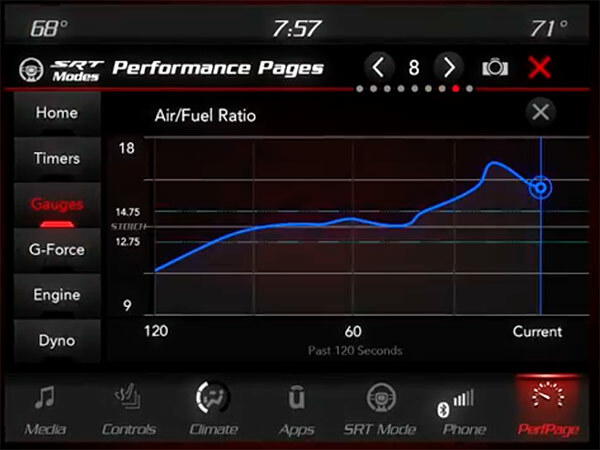 This is definitely a nice advantage to have over the Hellcat, as owners are now able to appropriately track their tuned vehicle rather than falling to the mercy of "700+." 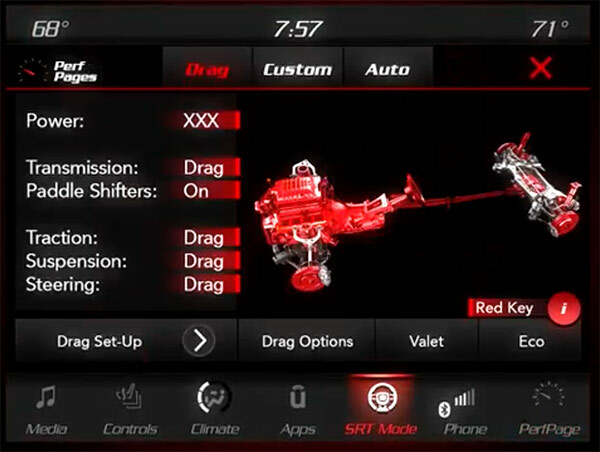 Drivers are able to select drag-friendly functions like line-lock, RPM-adjustable launch control, and individual-gear-adjustable shift light. 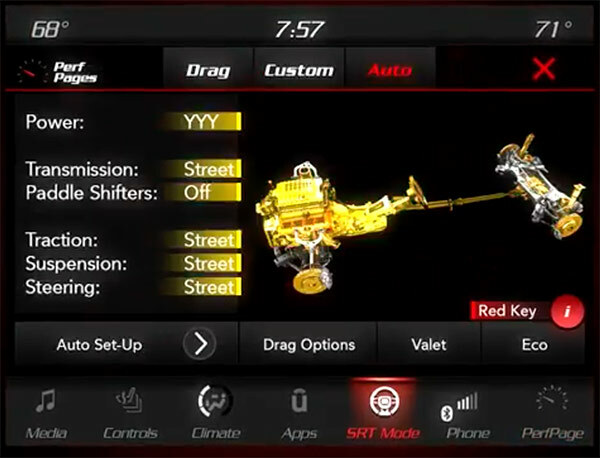 Drivers also have the option of choosing between three driving modes—Auto, Drag and Custom. 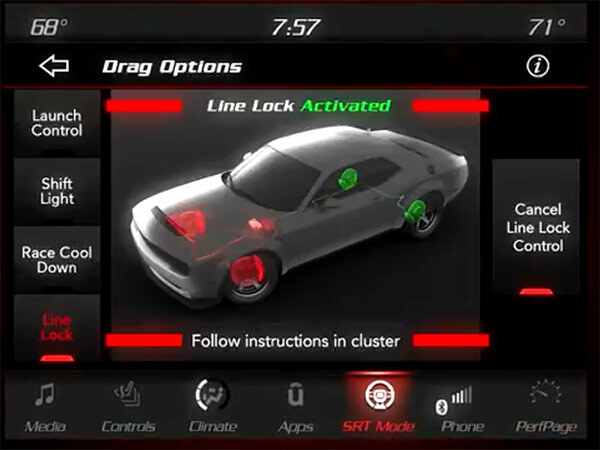 Each mode has various setups you can adjust, but Auto is for street performance, Drag is for drag racing (not general track performance), and Custom allows users to configure the Demon similar to Hellcat street performance. 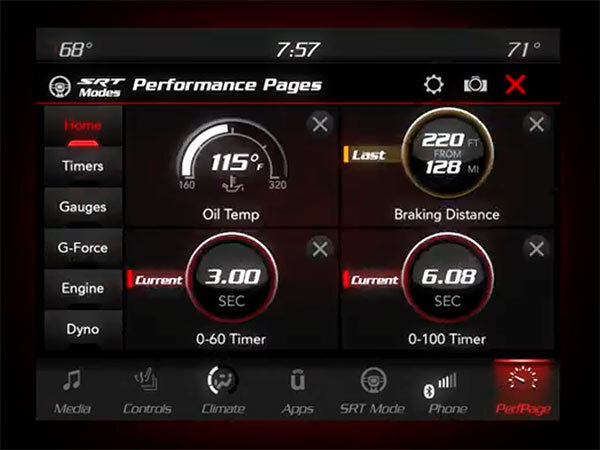 The Dodge Demon will makes its debut on April 11th at the 2017 New York International Auto Show.